LIFEHOUSE Live In Manila Concert Tickets! 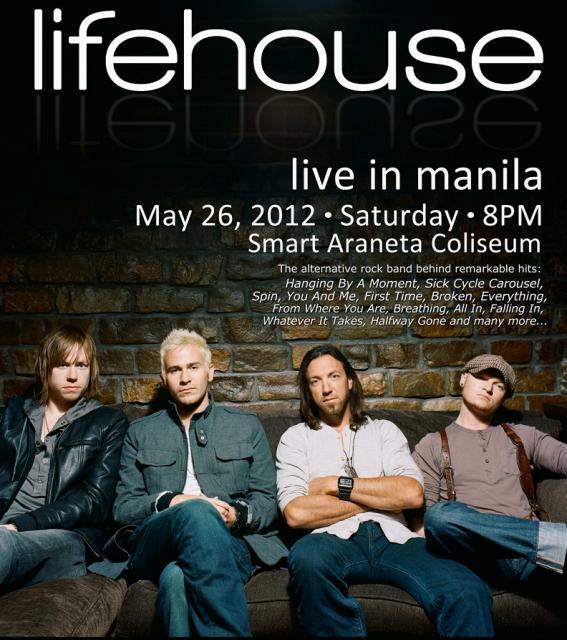 My brother is selling his tickets to the Lifehouse Live In Manila Concert happening TONIGHT. Three (3) Lower Box A tickets for only P2,500 each. Seats reserved at the middle area, facing the stage. Originally P3,750. They just can't make the concert, that's why they're selling the tickets. If interested, please tweet me so I could get you in touch with my brother!